TUM - How dangerous is microplastic? 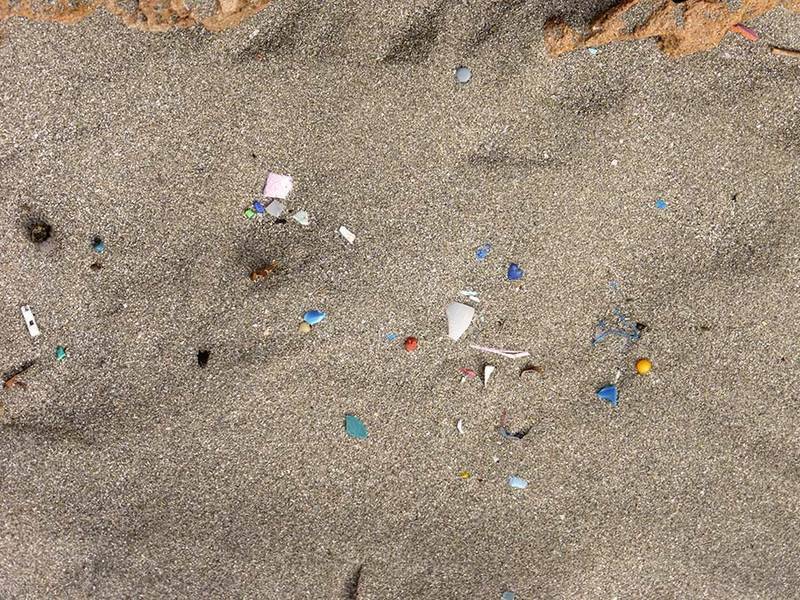 After early reports of microplastic pollution in our oceans and beaches sounded the alarm, the global scientific community intensified its focus into this area. Researchers have since found evidence of microplastic contamination seemingly everywhere – also in lakes and rivers, beverages and food supplies. 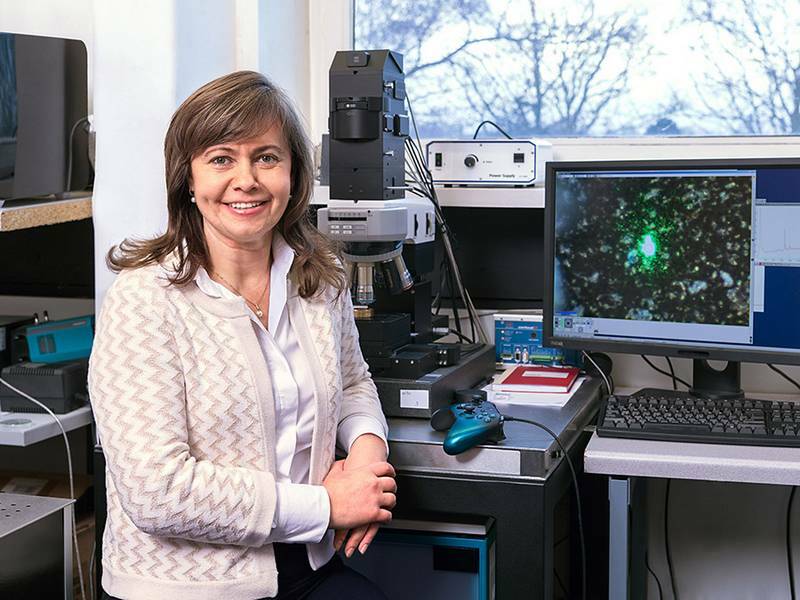 Dr. Natalia Ivleva, a researcher with the Technical University of Munich (TUM), has developed new analytical methods for the identification and quantification of microplastic. In this interview, she shares her latest findings. According to current definitions, microplastic is any piece of plastic measuring five millimeters in size down to one micrometer, that is one-thousandth of a millimeter. Plastic particles that are smaller – from one micrometer down to 100 nanometers – are defined as sub-microplastic. Particles below 100 nm are called nanoplastic. Studies show, that most of the plastic particles possess sizes in lower micrometer range. Both microplastics and nanoplastics are usually formed by the breakdown of larger pieces of plastic – for example, from shopping bags to the wear and tear on a car’s tires or when we wash an article of microfiber clothing. And since some manufacturers are still adding microplastics to personal care products like toothpaste and scrubs – they are a source of microplastic pollution, too. Why do we need to be worried about microplastic pollution? Actually, it’s not yet totally clear just how dangerous microplastics are for living organisms. What is known: aquatic organisms and other species, including humans, can absorb microplastic particles. But that alone doesn’t prove toxicity. However, we have also ascertained that smaller-sized particles might have the ability to be absorbed in certain types of body tissue in aquatic organisms. Each year, humans produce around 400 million tons of plastic worldwide. A significant proportion of this plastic ends up in the environment as litter, and most types of plastic take several hundred years to completely degrade. The result? Over the next few decades, we will probably be facing a massive increase in the amount of microplastic pollution in the environment. We all know that even inert and non-toxic substances can have unforeseen effects once they reach a certain level of concentration in the environment. Why don’t we know more about the effects of microplastic pollution? 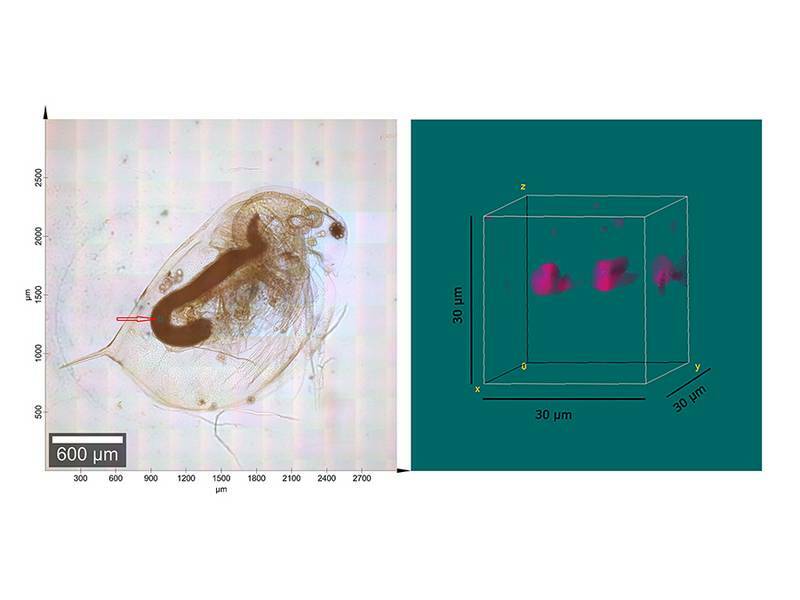 Early on, when researchers first realized that microplastic was entering the environment as a result of human activity, optical methods were used to distinguish plastic from other particles in a given sample. Unfortunately, this method is not very reliable. When you are looking at a particle that is smaller than a millimeter in size, it’s difficult to discern whether it is a grain of sand or a piece of plastic. They look very similar at that size. One good example of this: under the auspices of the research project “MiWa,” funded by the German Federal Ministry of Education and Research (BMBF), we did a chemical analysis of around 3,000 particles from a water sample taken from the Elbe River. We ascertained that only one in a thousand particles in the sample was actually plastic. Alongside limestone and other mineral particles, the water sample also contained a lot of organic material. That is why it’s of the utmost importance to develop reliable and standardized analysis methods – otherwise, there is no way to accurately compare different sample values with one another. I want to emphasize here that we’re talking about extremely low concentrations of microplastics in the samples we have analyzed – which we would expect would have a correspondingly small effect on the health of a living organism. In some experiments testing for high concentrations of microplastic, negative effects have been measured – while in others, no negative effects have been found. This research is still very much in its infancy – which doesn’t mean that we should take a ‘wait and see’ approach.. If we consider the slow rate at which plastic degrades, it is an urgent priority for us to find strategies for reducing the amount of plastic waste we’re producing in the first place. 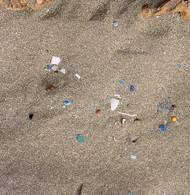 What methods are being used to detect and identify microplastic particles? Depending on what questions you’re asking, there are several different methods currently being employed to analyze samples for microplastic. For example, thermal analysis paired with gas chromatography and mass spectrometry is employed to determine the quantity and types of plastic particles and additives that might be present. But these methods cannot be used to determine particle sizes. Spectroscopic methods can be used to determine both the chemical fingerprint as well as the size and shape of microplastic particles. And infrared micro-spectroscopy can even be used to automatically analyze particles down to the size of 20 micrometers. At the TUM Institute of Hydrochemistry, we predominantly employ Raman microscopic analysis in our research. Raman is a non-destructive spectroscopic method that makes it possible to conduct both a signature spectrum analysis as well as facilitate reliable particle identification. Using this method, we can determine whether a particle is made of synthetic polymers – or if it’s a natural substance such as cellulose or quartz. Additionally, this method allows us to precisely determine the type of plastic in a sample. And coupling the power of a Raman spectrometer with a regular optical microscope, we can analyze particles down to one micrometer or even smaller. The result: we have the ability to clearly define the number of particles, the range of particle sizes and the polymer types of the microplastics in any given sample. 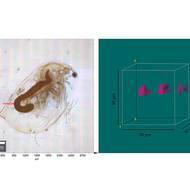 We have been able to confirm the presence of microplastic particles in the digestive tracts of water fleas. Furthermore, in a project funded by the Bavarian State Ministry of Environment and Consumer Protection, we have found that mussels ingest especially small microplastic particles – deposits of which we have found throughout their bodies. To develop representative and statistically reliable conclusions about the level of microplastic contamination in any given sample, we will need to analyze a lot of particles per sample. That is why we are also currently working on the automation of Raman-based methods in the project “MiPAq,” which is being funded by the Bavarian Research Foundation (BFS). As plastic particles degrade to ever-smaller sizes in the environment, they present an increasingly higher potential for environmental toxicity. That is why our institute is collaborating with other TUM chairs to develop more accurate methods for analyzing very small particles within the BMBF-funded “SubµTrack” project. First, we’ll need to collect enough comparable sample results – using standardized analysis methods – which will show us just how much microplastic or nanoplastic is actually present in any given sample. Only then we can begin to analyze the negative effects that might be caused by a certain level of microplastic or nanoplastic contamination in the environment – or in humans and other species. It will also be necessary for researchers to determine which types, particle sizes and shapes – and especially which concentrations of microplastics and nanoplastics – have which toxic effects. Would you recommend that we ban all plastic production in the future? Absolutely not – plastic is an incredibly versatile material and has a lot of advantages over other materials. That said – it is of paramount importance for us to drastically reduce the amount of plastic we are introducing into the environment. And it’s not just the companies manufacturing plastic that need to shoulder the sole responsibility and burden for this – it is also up to us as consumers to become more responsible in how we use, reuse, recycle and dispose of plastic in the future. 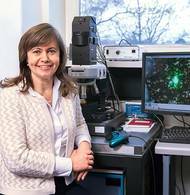 Dr. Natalia P. Ivleva is a group leader at the Institute for Hydrochemistry (IWC), Chair for Analytical Chemistry and Hydrochemistry (Prof. Martin Elsner), at the Technical University of Munich (TUM). 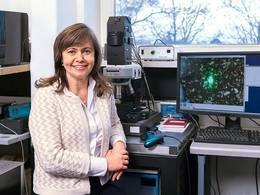 The work mentioned in the interview was funded by the Federal Ministry of Education and Research (Project "Microplastics in the Water Cycle", MiWa, MSc Philipp M. Anger and Project "Tracking of (Sub) Microplastics of Different Identity", SubμTrack, MSc Christian Schwaferts) and the Bavarian Research Foundation (project "Microparticles in the Aquatic Environment and Food", MiPAq, MSc Elisabeth von der Esch). Cooperation partners at the Technical University of Munich include the professorships of Urban Water Systems Engineering (Prof. J. E. Drewes, PD Dr. T. Letzel, PD Dr. J. Graßmann), Animal Physiology and Immunology (Prof. M. Pfaffl), Aquatic Systems Biology (Prof. J. Geist), Science and Technology Policy (Prof. R. Müller), Food Packaging Technology (Prof. H. C. Langowski) and Food Chemistry and Molecular Sensory Science (Prof. T. Hofmann, Dr.-Ing. Karl Glass) as well as the Institute of Groundwater Ecology (PD Dr. Griebler, PD Dr. Stumpp) at the Helmholtz Zentrum München.